We have run screening masterclasses for several years and they remain ever popular and useful for participants. Leads within NHS provider trusts may also find them of value. Colleagues from other organisations can sometimes take part. Please contact us to discuss this on a case by case basis. We currently have a few places left on a masterclass on 10 October 2018. We have also now started taking bookings for 13 November 2018. Both are being held in central London. There is a £48 fee to non-PHE staff to cover the venue and catering. 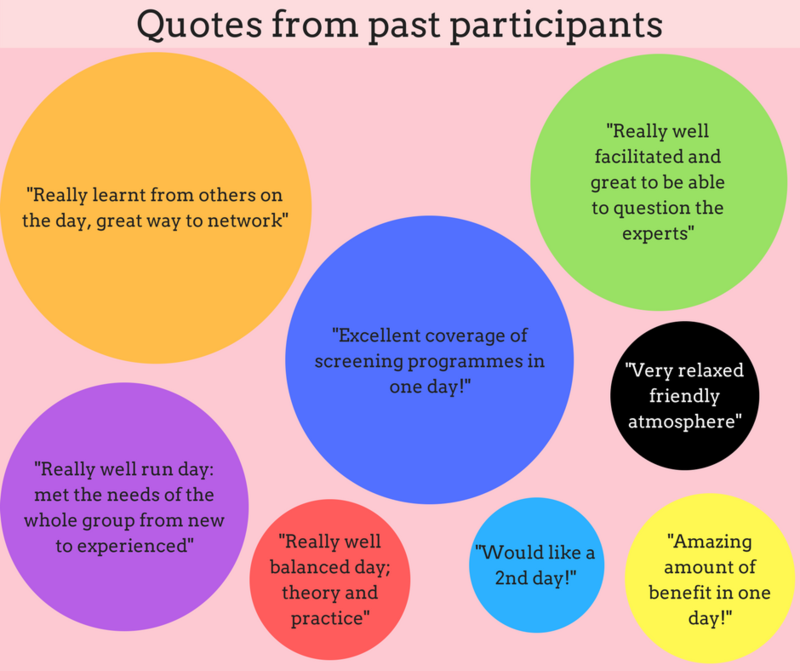 The structure of the masterclass has evolved in answer to participants’ feedback from past sessions. Please arrive in time, full of enthusiasm and ready to enjoy this interactive learning experience. I really look forward to welcoming you and working with you on the day.